I know, I know I'm kinda infatuated (understatement of 2010?) 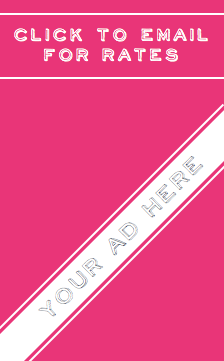 with this cheery, poptastic hue, but I just can't get enough. So, more yellow yumminess it is! Every day I feel inspired by it's welcoming and strangely comforting nature and after many of you fell in love with these yellow doors, I thought you wouldn't mind a bit more sunshine. Plus, as it's only Tuesday we can all do with a bit of bright decor goodness, right? 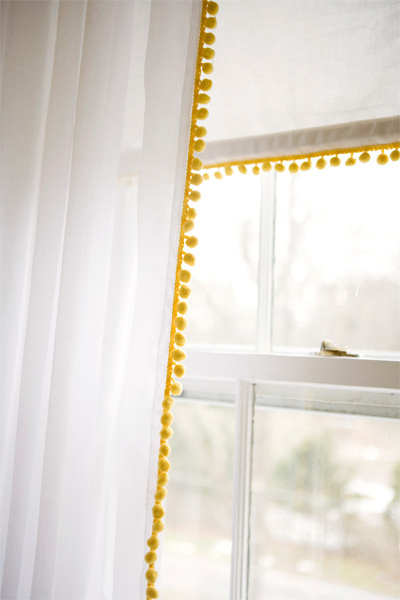 Let's dive on in: I have to find out where these yellow pom pom curtains (4) are from (anyone know?) 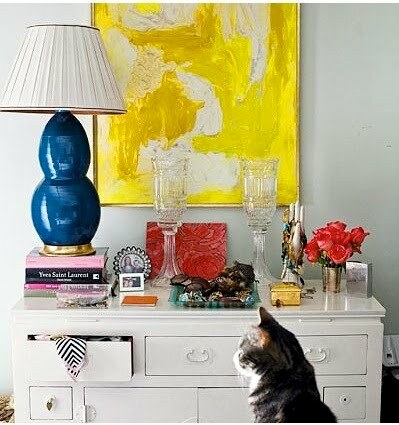 and the piece of art (6) behind that eclectic, vintage-inspired vignette would be a hallway dream for me. I am right there with you on the yellow. 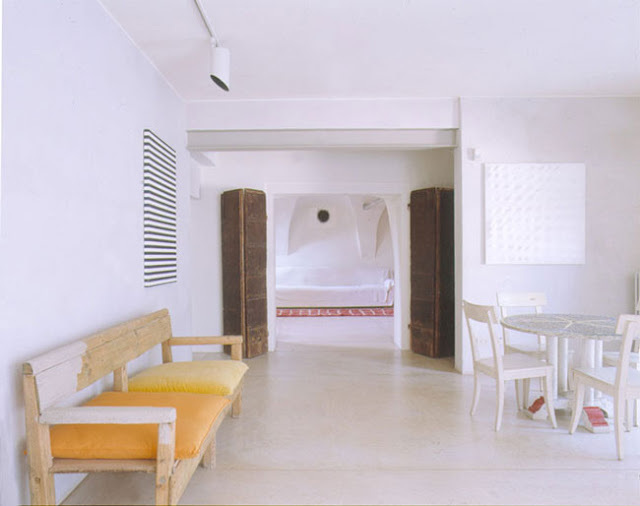 Every time I see an image with yellow decor, I want to change my whole colour scheme in my house! Will! Thanks so much for commenting...and becoming a follower! Your blog is GREAT. I love when I see unique images. 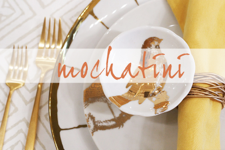 I will become a follower and add you to my blogroll! love it with the aqua! Oh I saw those pom pom curtains somewhere else.... i wanna say pb teen? Anyways, love this color and these rooms are so amazing! 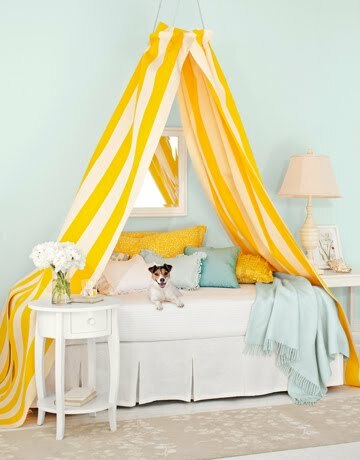 love the pom pom curtains! PS- thanks for the words of encouragement on my blog today :) It was a great reminder to be thankful!!! Are you on Facebook? All so uplifting... so many fabulous curtains, I just love a beautiful pair of curtains! Those pom poms sure are adorable, and I think they would be pretty easy to make! Im thinking a pair of white curtains from ikea, a trip to the local fabric store, and some fabric glue or a sewing machine! ooh you know I love some yellow so bring it on!!! I will take the terrier in the first picture,please. 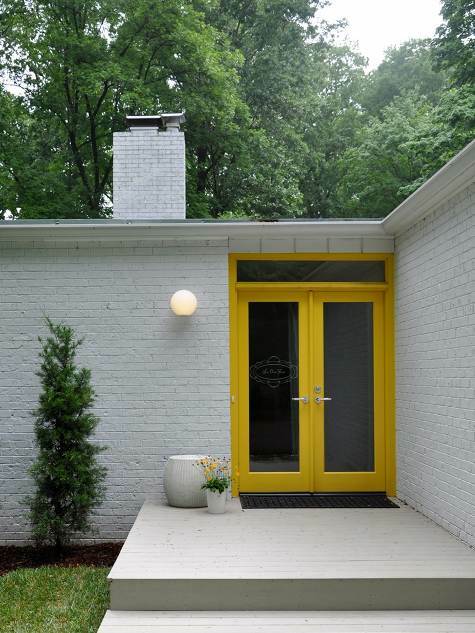 Love it all - especially those pom pom panels and the yellow doors. I've seen them before. stop it. i love that first pic....wow. made my day brighter. Love the yellow can always cheer me up! Urban outfitters has a version of those curtains right now. Go for them! I don't heart yellow, but I like most of these pictures for some reason. 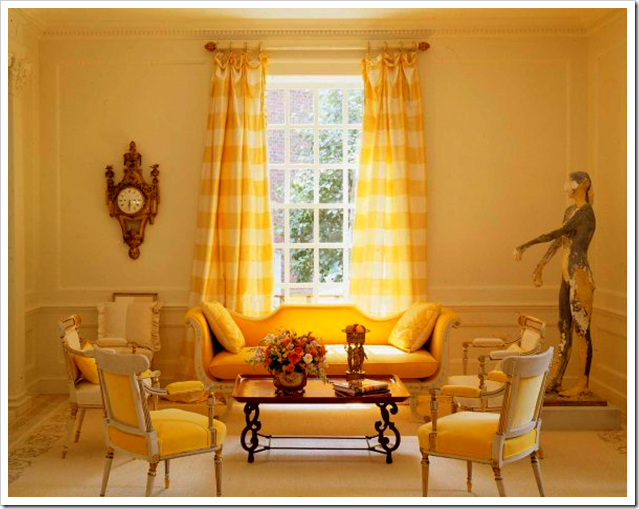 Those gingham curtains and then the blue lamp against the yellow art in the last picture were especially well done. Such composition.